was thinking the same thing, lol. nah, we've just had our heads wrapped around error messages too long. It could've been a 418, lol. nah, we've just had our heads wrapped around error messages too long. It could've been a 418, lol. I love creative error pages like that. But your art is equally as good. Lando is an amazing artist... But your art is equally as good. Different but equal, Sir. Different but equal. But then you'd be just copying him. oh no don't die! I'll revive you with the power of adorableness! ...I don't believe him. I bet he's holding the page, and just wrote on the back of it. I'm glad you like it, however I do not permit reuse of my character(s) or any art featuring them. 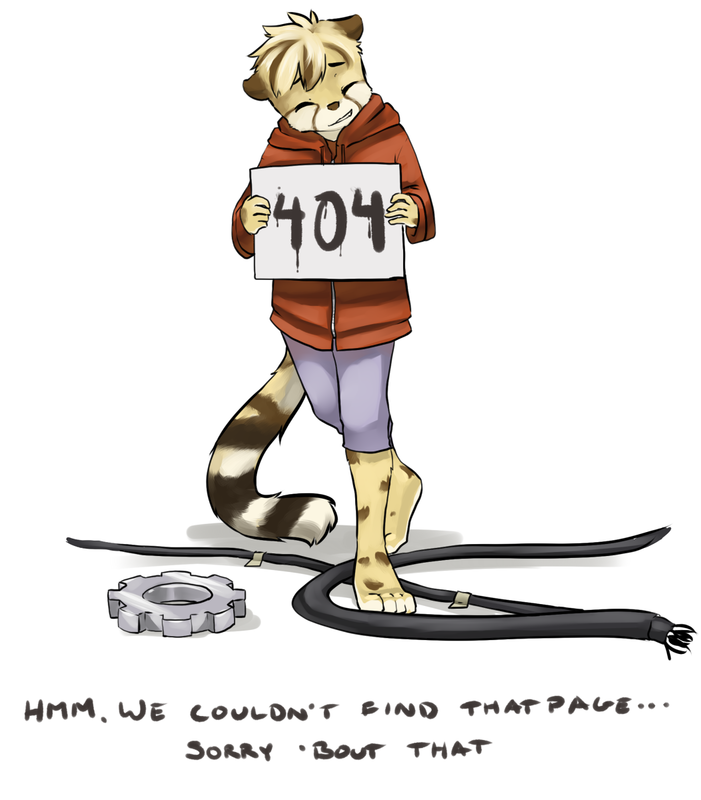 This was commissioned as the 404/500 page of Ozzy Furocity. It needs to remain exclusive to Ozzy Furocity. lol oops :P yes i was replying to leon. How could someone so cute not be found? Hehe.